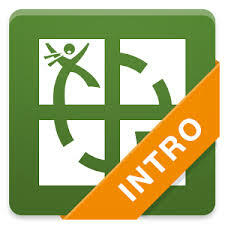 My favourite mobile app would have to be ‘Geocaching’ app, developed by Groundspeak Inc. This app is ideal for people who want to get outside and do some exploring. For those who haven’t heard of it, geocaching is basically a world-wide game of hide & seek where fellow geocachers will hide camouflaged containers about in the world for other geocachers to try to locate. Part of the game is not letting on that you’re playing – the idea is to avoid drawing attention to these caches so someone who isn’t familiar with geocaching does not unknowingly remove them. 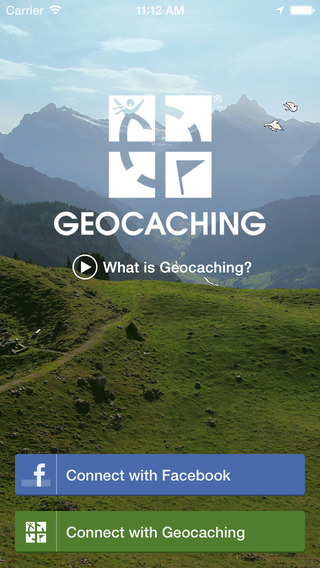 The app is designed to make geocaching accessible without having to buy a fancy gps device. 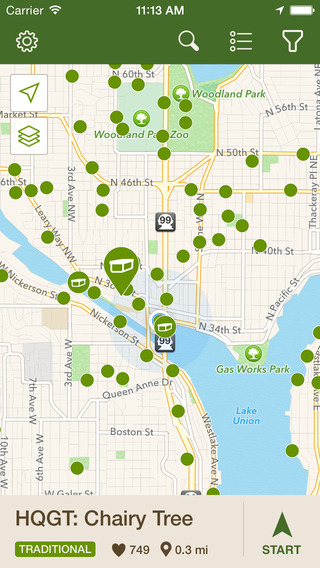 In the app you can see nearby caches, mark caches that you’ve found, and navigate to caches using the device’s gps. You can also comment on caches, note that they are missing or in need of repair, etc. Each cache has a difficulty ranking as well as a terrain difficulty ranking, so if you’re just starting out you can stick with the easy ones until you get a sense of what to look for. It’s easy to miss things in day-to-day life. You might not notice interesting locations, or might not wander down a different route than usual. I find that this app tends to get me out to places I would usually just pass by – and honestly, a game centered around mobile devices, but that doesn’t encourage ignoring the physical world, or the people around you? That’s pretty awesome. It manages to use technology to make reality more immersive; something to strive for as a mobile developer. Are there any improvements that could made to Geocaching? The only issue that I’ve ever had with the geocaching app is that it is only as good as the device’s location capabilities that you are using it on. I first started geocaching on my Samsung Galaxy (several years ago…) – which had terrible gps, and I more often than not ended up standing in the middle of a lawn, or being led into overgrown bushes than actually ending up anywhere near where the cache had been placed. How often do you go on adventures?